Disney Cruise Line’s website is slowly coming out of dry dock. 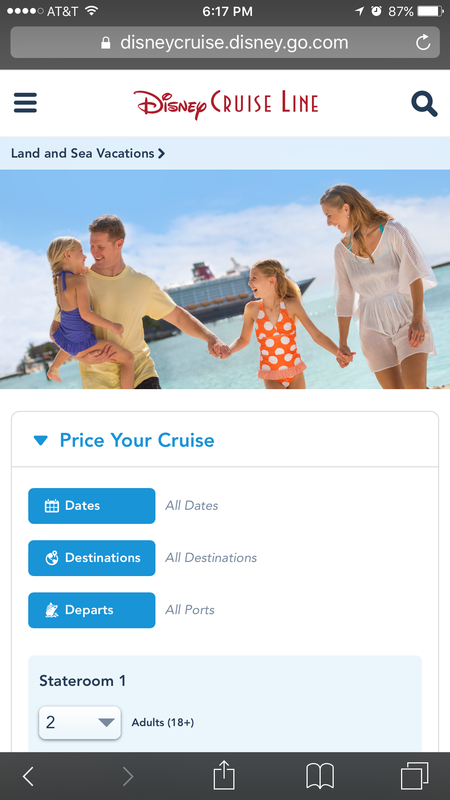 This week, DCL has been teasing a redesigned website that is now mobile friendly. 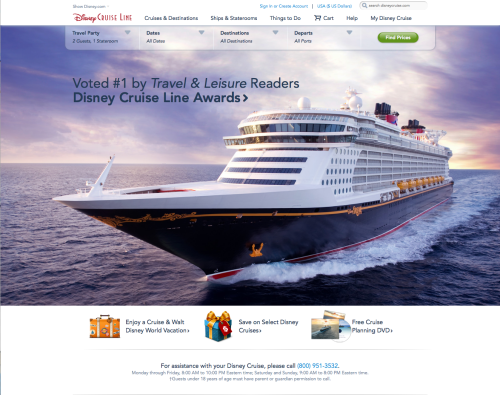 I’ve learned that not everyone will see the new page when they visit DCL’s website. At this point it is random as to which version of the website you will see. This entry was posted in News and tagged DCL Website by Scott Sanders. Bookmark the permalink. Scott, it is working on Google Chrome. I do not know about Safari. So, do you know if there’s a glitch. We have a cruise scheduled on the Fantasy for November 7th and I logged in today and it states that this will be a “Very Merry Time” cruise now. First mention of it….. Hope it’s not a glitch….. It is not a glitch. I called DCL and the agent I spoke with confirmed this is now a Very MerryTime cruise. Well, all I can add is that as soon as the new website has gone live here in the UK, the price of the cruise we were looking at and have been for a few weeks has jumped in price by £300. I’m having to use a tablet though mobile just work.